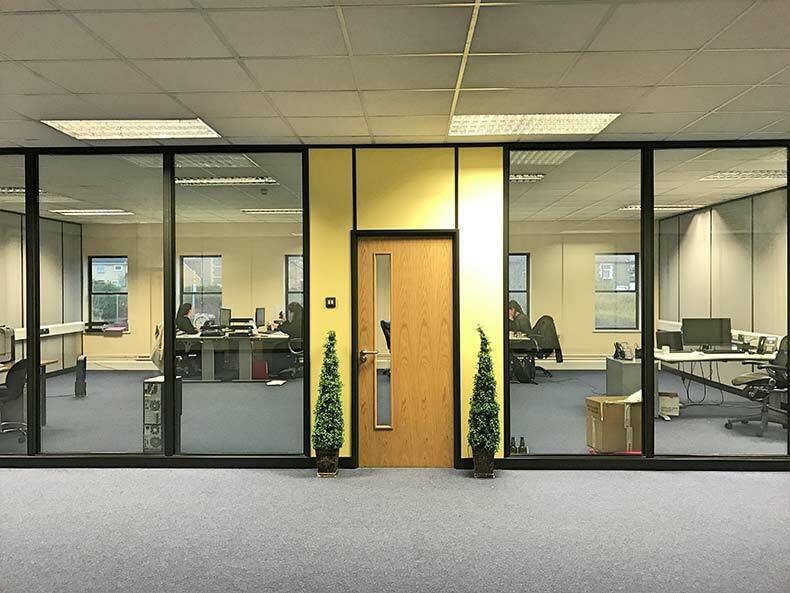 Chapple and Jenkins had recently purchased a large industrial unit that included an open plan Office space that had been left unoccupied for some time. 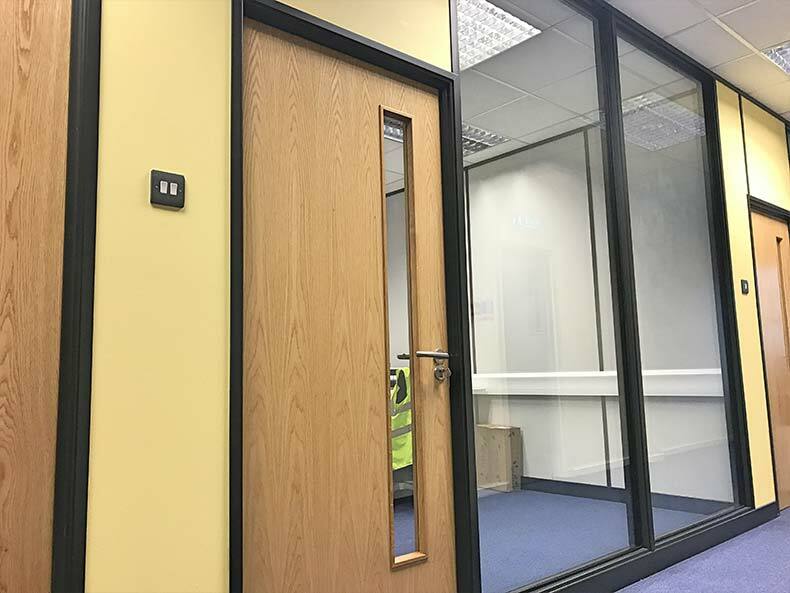 To meet their staffing and operational requirements Avent were instructed to create a large number of Offices, communication room, breakout area, and kitchen space. Segmentation of open space into departmental Offices. 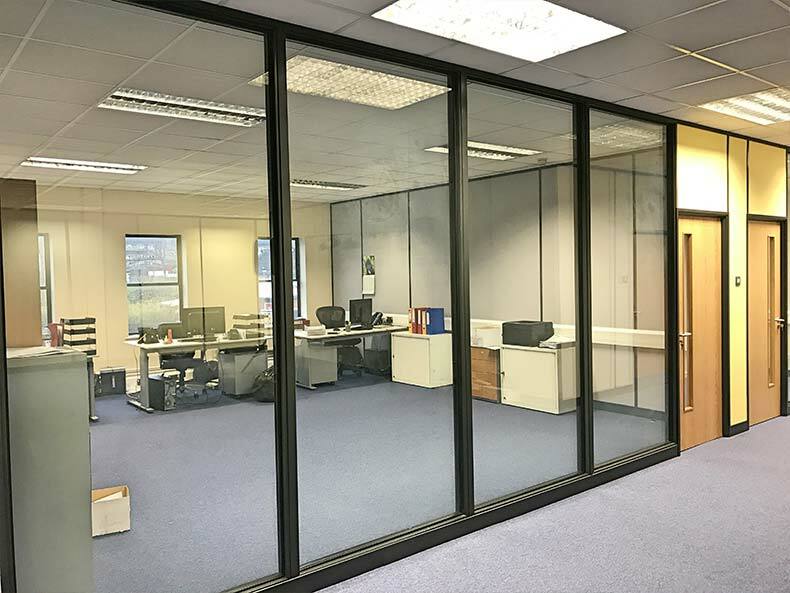 Good quality Office Partitions stopping sound from travelling. Responsive service to meet move in deadline. 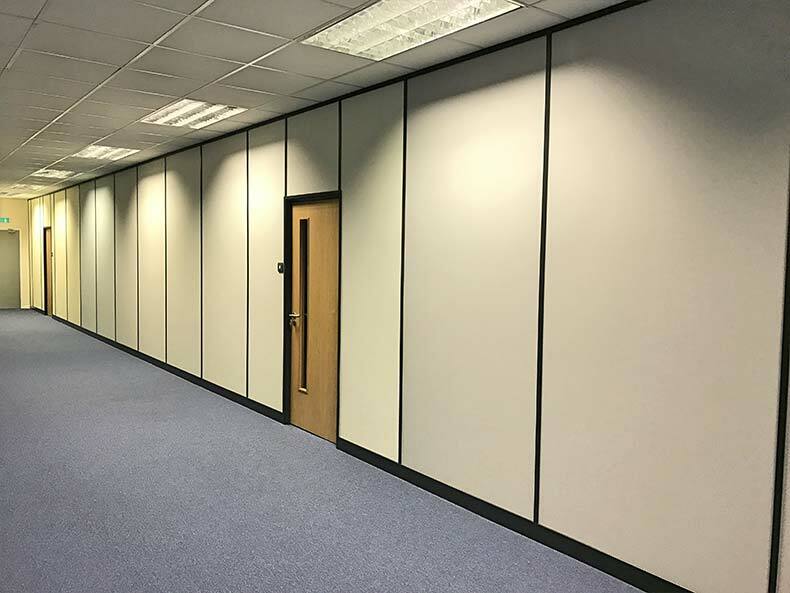 Avent recommended the use of the 100mm Office Partition system to provide superior acoustic value. 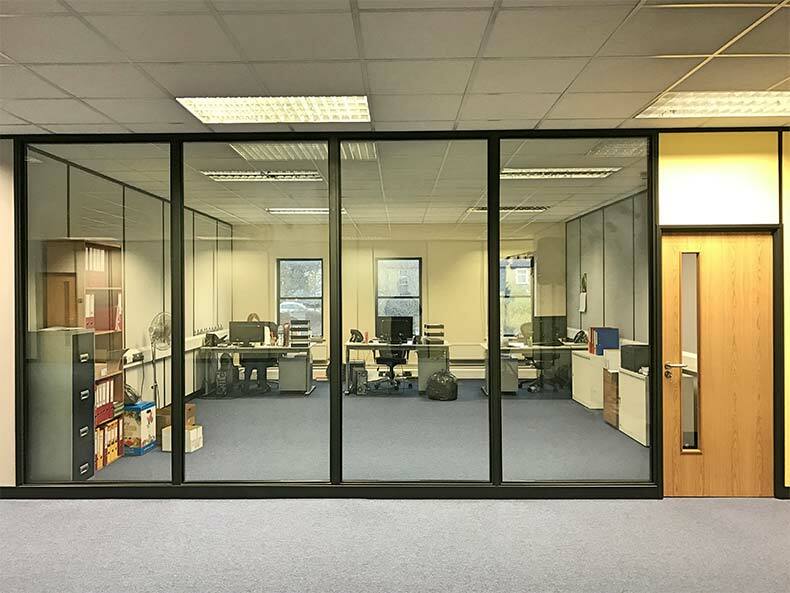 Glass Partitioning was used to provide natural light throughout open plan Office area. 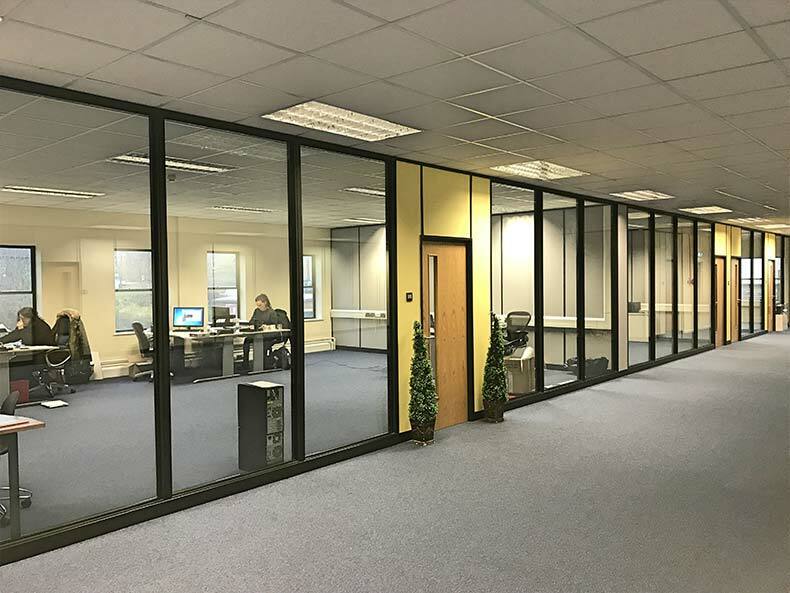 With nearly 20 modules of Glass Partitioning and close to 50 modules of solid Office Partitions this was a substantial project. Fast turnaround from site survey and quotation to the commencement of works. After a month on and off site to fit in with other Refurbishment works, the project was complete. Chapple & Jenkins now had new Offices ready for its staff to move into. 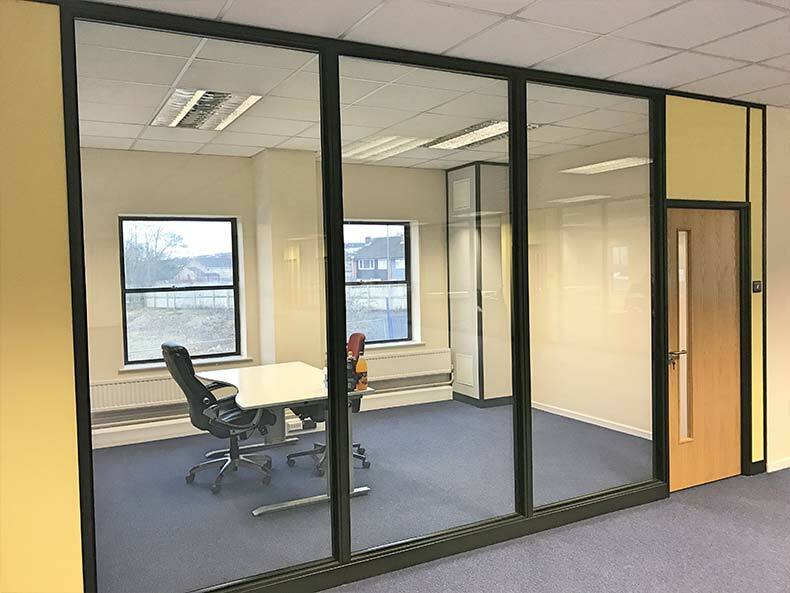 A great balance of Solid Partitions and Glass Partitioning had been found with Glass providing natural light and Solid providing enhanced sound insulation. Avent Interiors both succeeded in meeting the vision set out by Chapple & Jenkins and had provided them with a platform to grow their business to new heights. Chapple & Jenkins are one of Bristol’s biggest wholesalers. Their range of products is diverse and covers soft drinks, confectionery, alcoholic beverages and catering equipment and cleaning goods. They operate throughout the South and pride themselves on customer service.